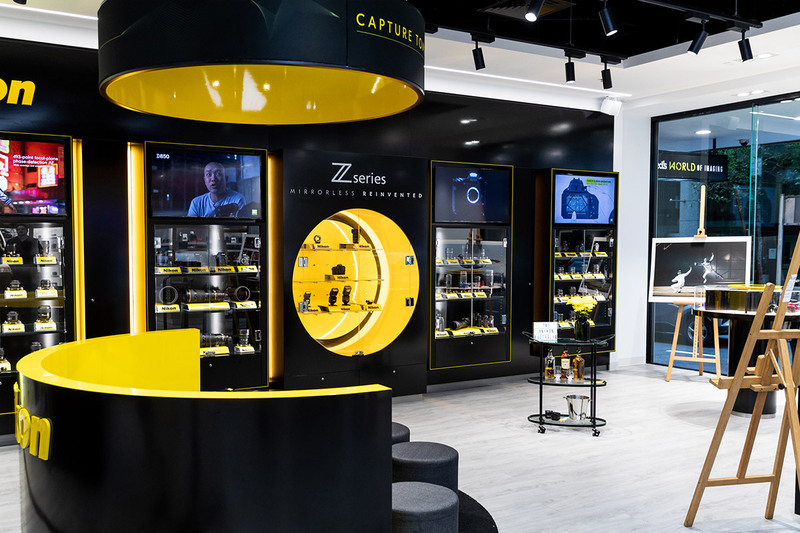 RED worked with Ted’s Cameras to create a brand new, state of the art camera store that provides a very different customer experience – in more than 800sqm of discovery and interactivity. 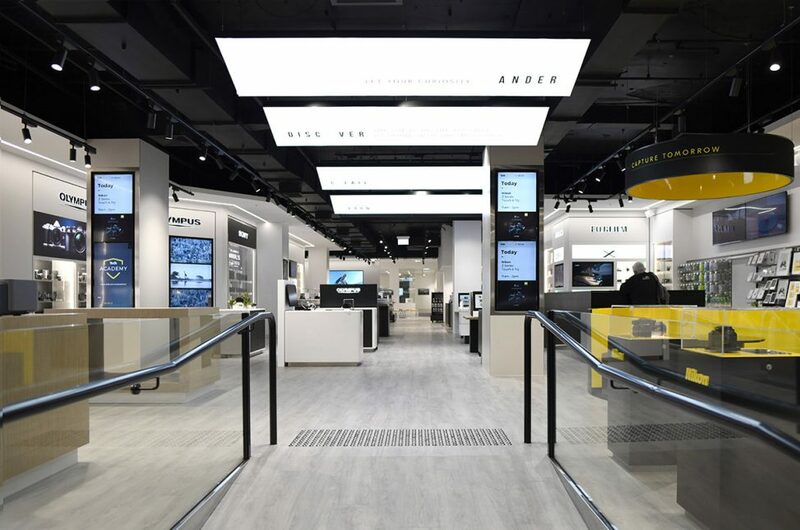 The new store opened recently in Pitt Street, Sydney. Everything about the store is dynamic. Each and every major camera brand is given a space and is encouraged to be different and creative. They are free to showcase their technology in a more interactive way. Olympus is exhibiting their new low-light and high motion capture technology, and encourages customers to capture moving particles as well as objects in ‘dark-boxes’. 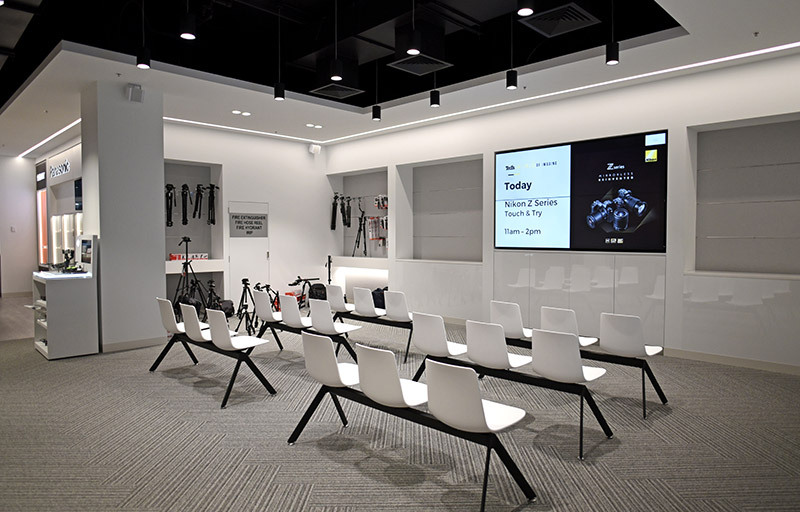 Nikon on the other hand wants to service customers slowly with intrigue, so their space is about seating and revealing relevant products from concealed cabinets to create the element of surprise. 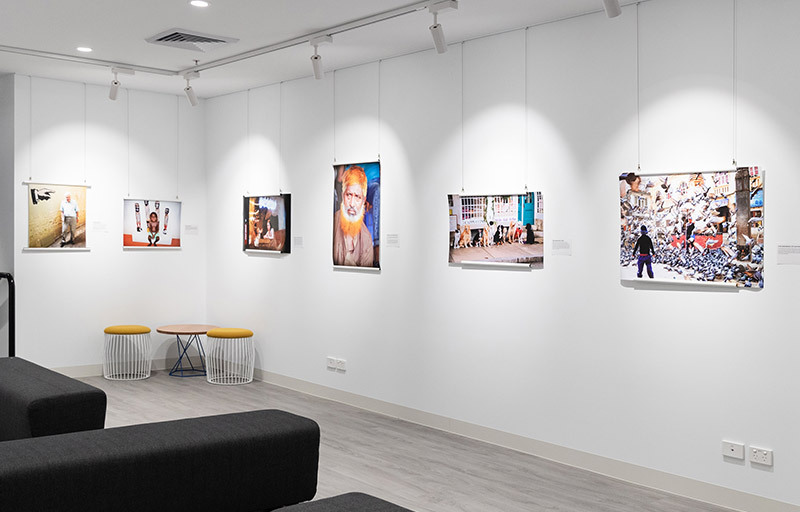 A café and gallery space towards the rear of the store helps slow the pace and inspire, and should you choose to pursue a longer course there is an accredited photography university that run part-time courses to the rear of the store. 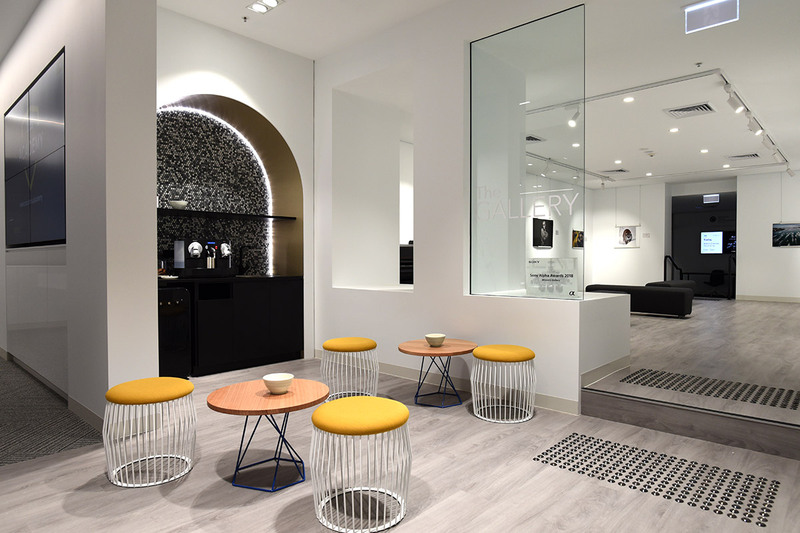 All in all, we have delivered a store that is dynamic, flexible and allows for change. It is not just a camera store that facilitates a transaction, but a hub that inspires creativity and growth. 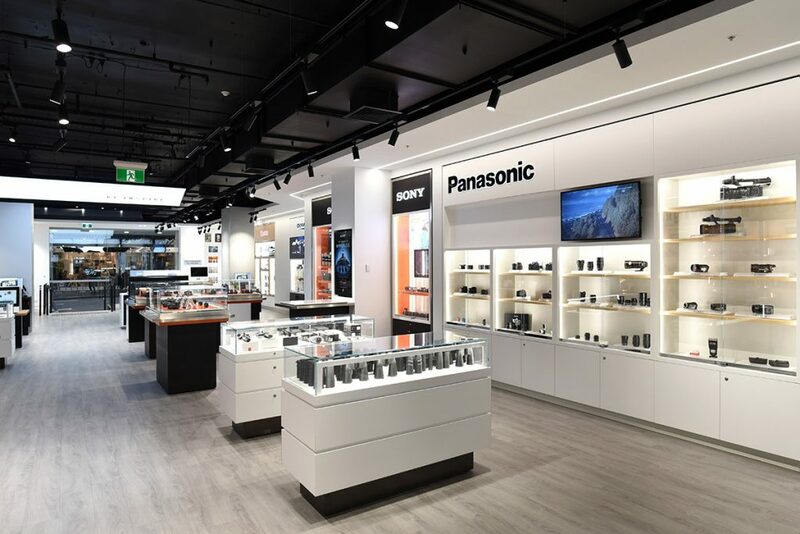 We think it provides a great customer experience and a refreshing change compared to the traditional, cluttered, discount camera stores of the past.